Go West, young man . . . | A balanced diet . . .
And west we did indeed travel. Steph and I have just returned from a three-week vacation in the USA to visit Hannah and Michael and grandchildren Callum and Zoë in St Paul, Minnesota (MN). During our vacation, we took the opportunity of driving from St Paul to Yellowstone National Park in Wyoming (WY) – and stops at all interesting places in between in South Dakota (SD) and Montana (MT). While I will post blogs about the various places we did visit, this post is all about the trip as a whole, and hopefully I can provide a few tips for other lucky travelers. Almost two thousand miles (actually 1,944 miles from our home base in St Paul to our final hotel in Billings, MT) in eight days might seem excessive to some, but in fact it was quite manageable, and we had time to stop – often for several hours – and enjoy the various places we had chosen to visit on the way. Yes, they were long days, but with open roads and little traffic to hold us up, and the judicious use of cruise control on the main highways, I did not feel particularly tired at the end of the day. In any case, relaxing at our hotel with a couple of cold beers always eased away the tiredness. I kept a couple of packs of beers in the car, and placed some each day in the cooler ready for our arrival the hotel in the evening. We rented a Kia Sorrento SUV from National at MSP, which cost us USD981 (including a one-way drop-off fee of USD250). We spent only USD274 on gasoline – I hate to think how much a similar journey would have cost in the UK. And to keep in touch with Hannah and Michael, I purchased a 30-day, 10 cents a minute domestic rate SIM card for my mobile from AT&T (20 cents for text messages); 150 minutes cost USD17 incl. taxes. This was a much better deal than I had been able to find online in the UK. So I would certainly recommend anyone traveling to the US to go to one of the big providers like AT&T (with great coverage throughout the country) and purchase one of these simple SIM plans. We started our journey west on Monday 2 June, and flew back from Billings to MSP on Tuesday 10 June. This was our itinerary. We left Hannah’s around 08:30 and made swift progress for about the first 10 minutes, until we hit morning rush hour traffic on I-494 W, until we reached our turnoff on US-169 south towards Mankato, MN (site of the largest mass execution in US history on 26 December 1862 of 38 Dakota Sioux native Americans) along the Minnesota River valley. Then we joined US-60 southwest to link up with I-90 heading west into SD. One thing we noticed was how poor the road surfaces were in Minnesota, but they improved dramatically once we crossed the state line into SD, and in fact for the rest of our trip through SD, WY and MT. 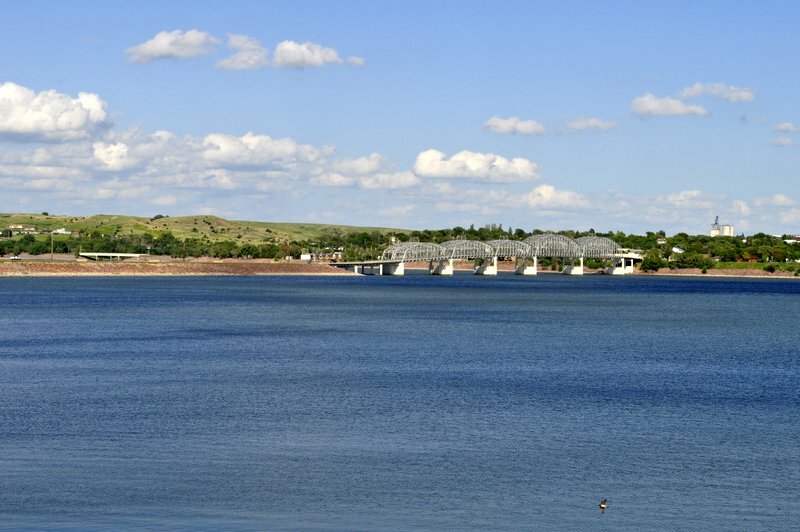 Our destination was Oacoma, a very small community (essentially a motel, RV park, gas station and shops/restaurant) on the west bank of the Missouri River, just across from Chamberlain. We had a glorious day to travel with hardly a cloud in the sky. Here’s a view of the Missouri in the evening sun. The day dawned bright and sunny, but we’d seen a warning on The Weather Channel about storms approaching from the west. So although we started out in bright sunshine, it wasn’t too long – in the heart of the Great Plains – that the clouds rolled in, the sky darkened, and the rain came down in sheets. In fact, at one point I found the nearest scenic overlook to turn off I-90 (not that you could see anything) as driving conditions were getting worse by the minute. We saw lots of lightning strikes in the distance, but never felt the full force of the storm – we skirted the northern edge of a major system that wreaked havoc south and east of us, but which had come down from the northwest where, in Billings, baseball size hailstones had done significant damage. I really was quite naïve when planning this trip way back last February – I didn’t give the possibility of severe weather a second thought. We were lucky since the various storms (that we avoided) did generate tornadoes and even severe thunderstorms had winds of up to 100 mph. You have to take Mother Nature very seriously out on the Plains – there’s nowhere to hide. 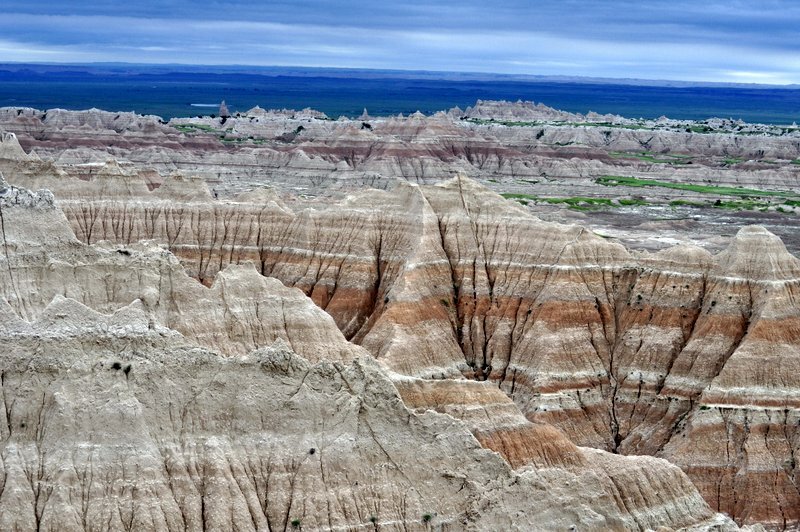 However, by the time we reached the turnoff for the The Badlands, it had stopped raining, the clouds lifted, the sun even came out for a while, and we had an excellent four hour trip through the park. 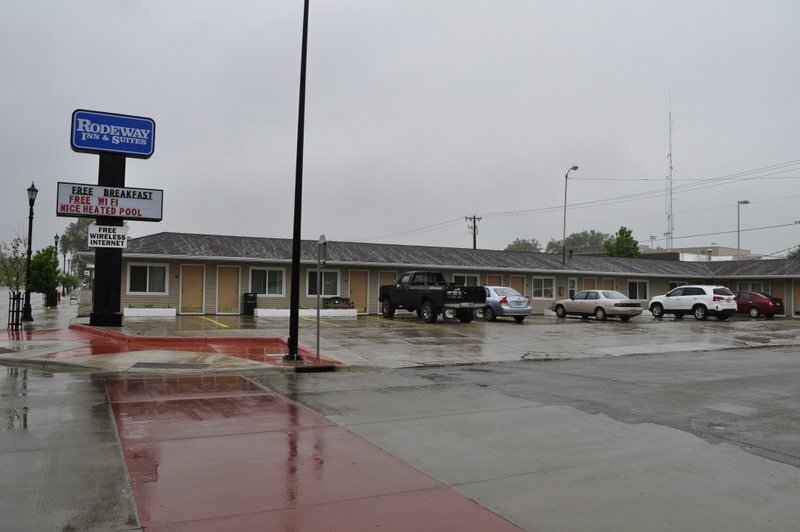 Then we headed for Rapid City and our hotel, where we spent two nights. We ate the first night at the Golden Phoenix Chinese restaurant (very good) and the second at Shooters Wood Fire Grill, just across the street. I had an excellent steak. Steph and I both wondered what Mt Rushmore would be like, kitsch or not. 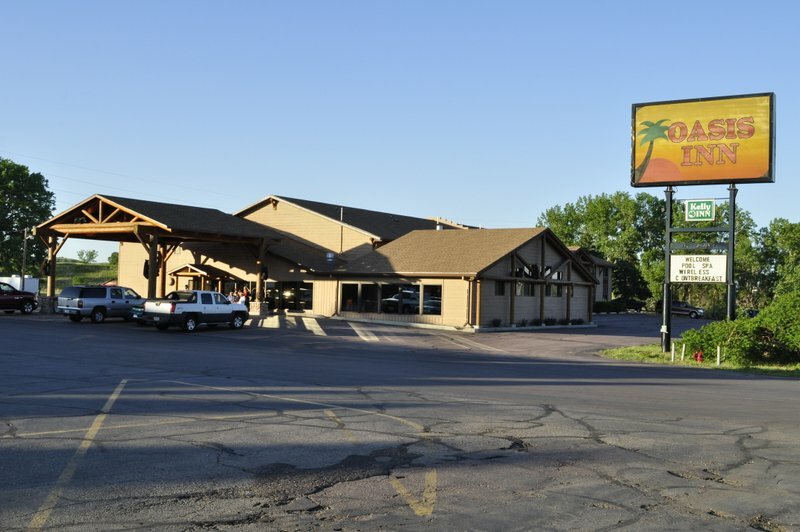 And that concern was reinforced on the drive up into the Black Hills from Rapid City – all the many tourist attractions along the highway, and in Keystone, a small community closest to Mt Rushmore. My earliest recollection of Mt Rushmore was in Hitchcock’s North by Northwest (with Cary Grant, James Mason, and Eva Marie Saint). 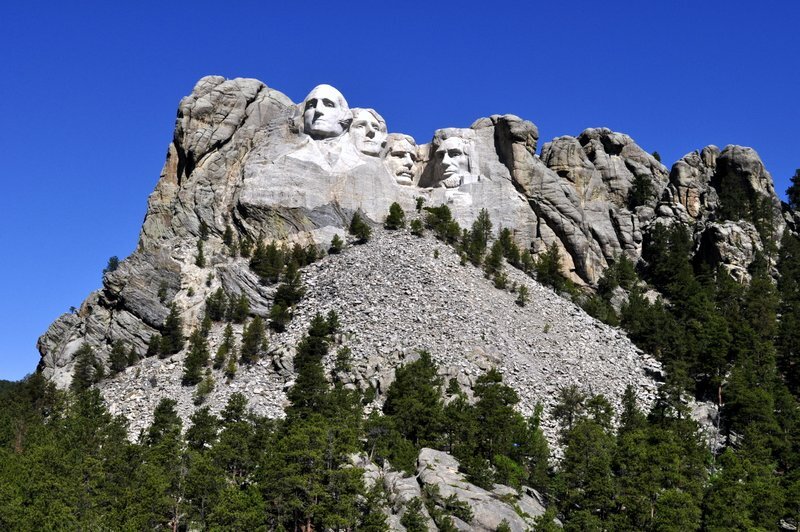 In fact, Mt Rushmore was very moving and inspiring, we couldn’t have asked for better weather, the cliff-face carvings emphasized by a brilliant blue sky. Then we moved on to Custer State Park south of Mt Rushmore and took our time meandering along the park highways, and through a series of extremely narrow tunnels carved through the hillsides. No RVs here! We spent the morning working our way north through the beautiful Black Hills of Dakota and stopped in Lead (as in ‘seed’) to view the huge crater of a former gold mine. It was the discovery of gold in the Black Hills in about 1870 that exacerbated the conflicts with native Americans. Less than five miles from Lead is Deadwood (of Calamity Jane fame, and the stage), but when we reached the fork on the road junction we turned left to Lead. I regret not turning right and visiting Deadwood because of all its historical connections. Then we headed north and west to Devil’s Tower, the first site to be declared a national monument, by President Theodore Roosevelt in 1906. Iconic Devil’s Tower featured in Steven Spielberg’s 1977 classic Close Encounters of the Third Kind, and I’d promised myself after seeing the film that I would visit it if I ever had the chance. And I wasn’t disappointed. Departing Devil’s Tower at about 4 pm, we thought the drive to Sheridan wouldn’t take too long. In fact it was 33 miles to I-90, then, to our surprise (and consternation) we saw that it was still 127 miles to Sheridan! Still, we had a good meal at Sanford’s Pub and Grub. 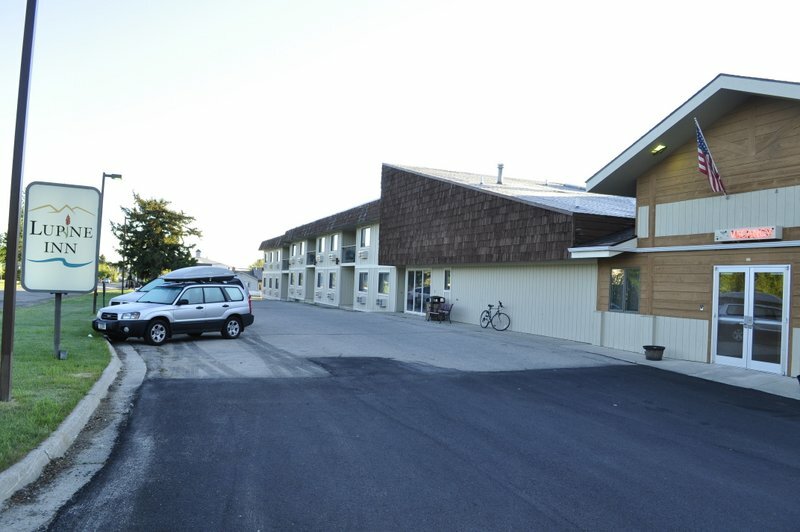 Rodeway Inn & Suites, Sheridan (4); cost: USD93 (in fact, they couldn’t find our reservation. I should have walked away then and found another hotel but after a long drive I was too tired. The room could have done with a more rigorous going-over with the vacuum cleaner). This was a big day for me. It dawned overcast and drizzling, with very low cloud, and rather cool compared to the previous days. But as an aficionado of westerns, and I’ve also read quite a bit about the European expansion west during the 19th century, I was intrigued to visit the site of Custer’s Last Stand (I’m currently reading a fascinating account of Custer and Crazy Horse by American author Stephen Ambrose). There was an interesting display of artifacts in the visitor center, but what I found particularly moving were the marker stones scattered across the battlefield indicating where both US soldiers and native Americans had fallen defending their way of life. And the native American memorial is stunning. But more of this in another separate post. 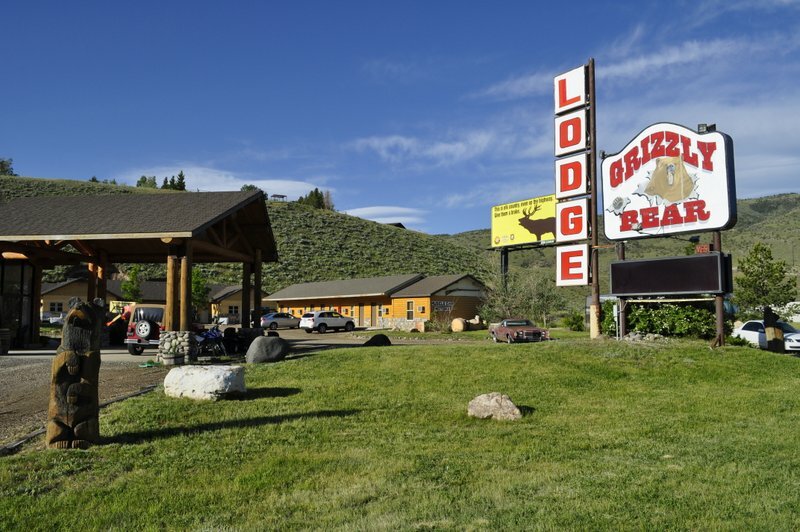 We stayed this night in Red Lodge, just north of Yellowstone National Park. We had a great pizza at the Red Lodge Pizza Co. on South Broadway Ave. When planning our trip I had no idea of what to expect in traveling into Yellowstone via the northeast gate from Red Lodge. 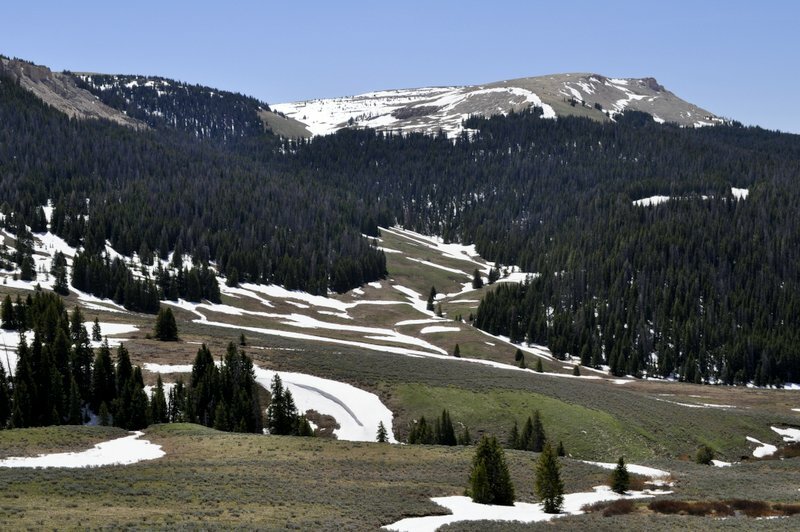 The Beartooth Highway climbs – almost vertically – right over the top of the Beartooth Mountains, and usually remains closed until the end of May when the snow clears. It was a stunning drive. Yellowstone was both exhilarating – and a disappointment. There are quite long stretches traveling between tall pine tress, so there’s not much to see. And I guess we have all be spoiled by the amazing wildlife images on TV. While we did see herds of bison, and a few elk, wildlife was not generally conspicuous. I hate to think what then park would be like at the height of the summer season. Bumper to bumper no doubt. Even during our visit we encountered some traffic jams as folks frantically looked for somewhere to pull over to take yet another photo of a lonely bison. The Tetons are something else. Along Jackson Lake, which lies at just over 6,000 feet, the mountains just rise vertically another 6,000 feet or so. 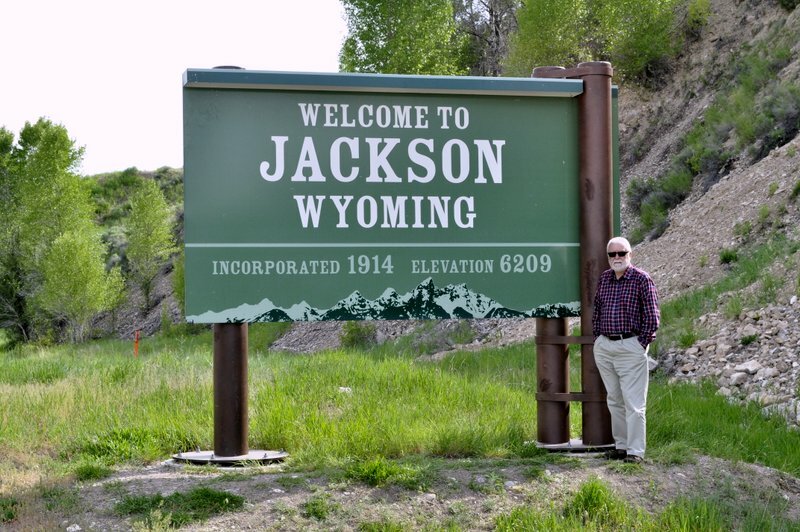 Our destination was Jackson – a winter sports venue for the rich and famous. Anglers Inn, Jackson (9); cost USD119 (breakfast not included – so we had had the pleasure of that great American tradition: going out for breakfast on the Sunday morning at The Bunnery). 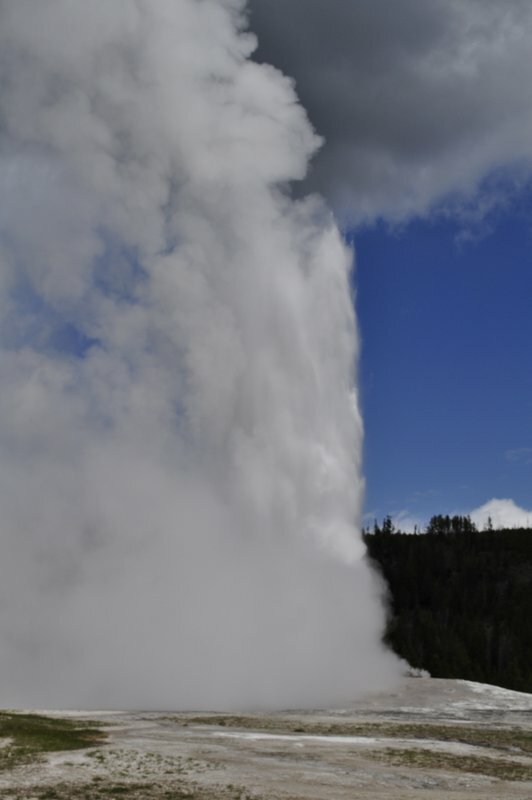 We traveled north back into Yellowstone to visit all the hot spring and geyser sites, including Old Faithful. I almost dubbed it ‘Old Faithless’ because we had to wait about 20 minutes longer than expected for it to do its stuff. I say ‘we’ – us and about 500 others. This was no doubt the most crowded part of the park that we visited, but everywhere else we were able to stop, take our time, and take all the photos and video we wanted. Late in the afternoon we headed towards the east entrance to Yellowstone down the highway to Cody – ‘the rodeo capital of the world’, and founded by ‘Buffalo Bill’ Cody. Cody lies about 70 miles east of Yellowstone. We had made hotel reservations outside the national park – at Red Lodge, Jackson, and Cody – and even with having to retrace our steps we decided it was worth it. 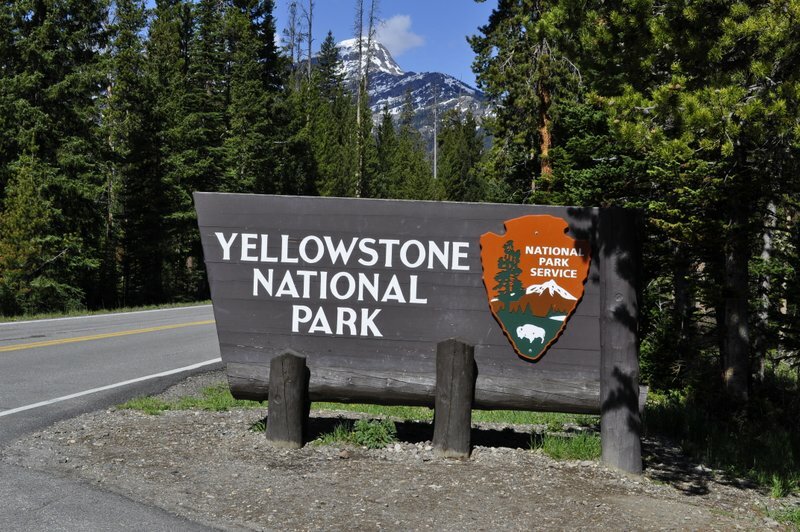 However, we discovered that the road to the Yellowstone north entrance was being repaired, and significant traffic delays were being reported. So rather than traveling back from Cody to Yellowstone on the last day, we decided to head east. We had dinner at the Proud Cut Saloon, and although the service was rather slow – and I did complain – the flatiron steak I had was one of the best steaks I’ve eaten in a long while. And what a smart decision that was, not to travel back into Yellowstone. 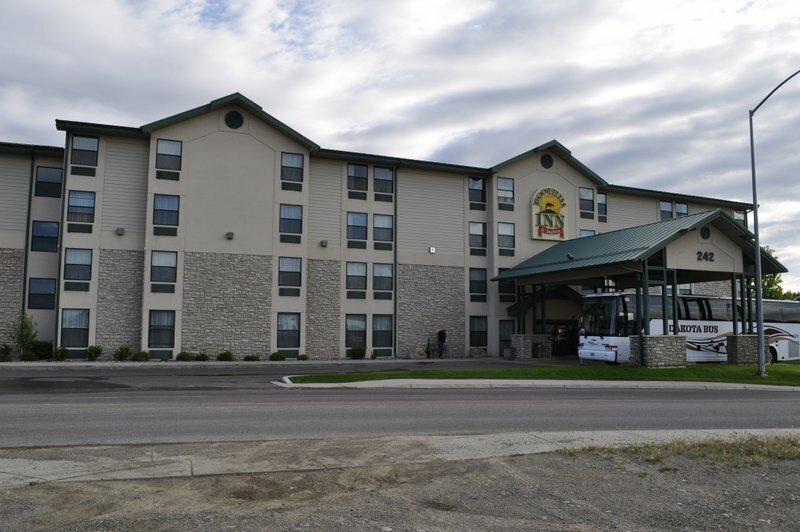 Instead we headed east into the Bighorn Mountains – and would have reached Sheridan again if we had not turned east again, and then north towards our final destination, Billings. The Bighorn Mountains rise out of the high plains. On the descent there was a 10% gradient for over 12 miles; sometimes it felt as though we would fall over the edge of the earth. 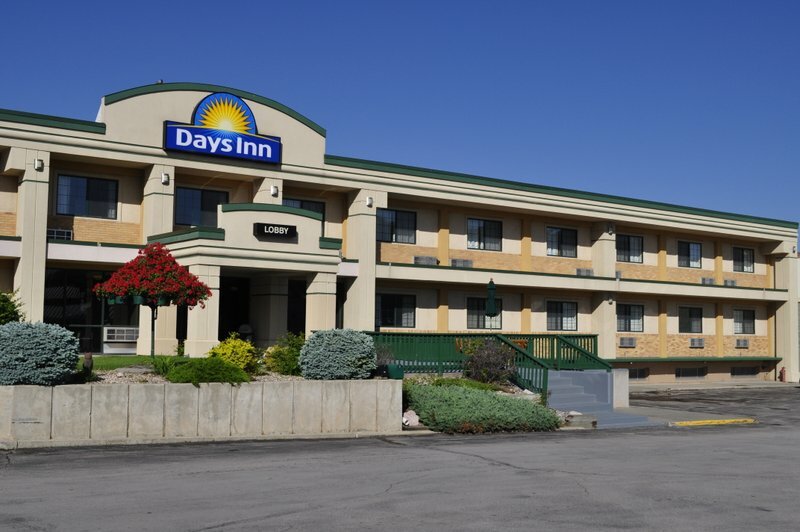 Our hotel in Billings was conveniently located close to the airport. We had a reasonable meal at the local Applebees beside the hotel. We spent USD86 on entrance fees to the various national and state parks and national monuments – an exceptionally good deal, since the entrance fee often covers multiple visits over a three to seven day period. Just what we needed for our Yellowstone visit. And the formation brochures that are provided by the National Park Service are excellent. I don’t think we spent more than about USD350 on meals. Each day (except one) we had breakfast (such as it was) in the hotel, and had sandwiches for lunch (or left-overs from the previous night’s meal) supplemented by a yoghurt and a piece of fruit (often filched from the breakfast bar), and a handful of delicious Trader Joe’s Veggie & Flaxseed Tortilla Chips. The evening meal was the ‘expensive’ part of the day, and it was always possible to find somewhere good to eat and not expensive. Not a journey exactly on a shoestring, but not super expensive either. A long journey, but a great experience. Of course there are so many more details to fill in, and these will be the topics I’ll address in a range of blog posts over the coming weeks. 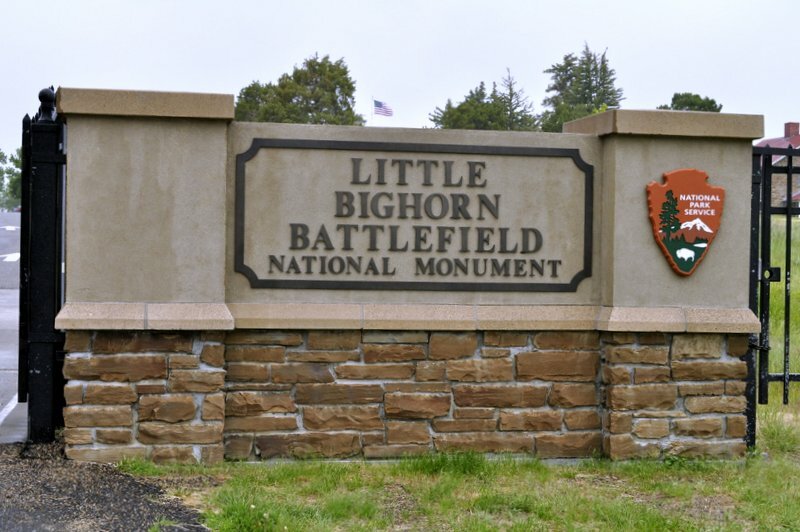 This entry was posted in Out and about, Travel and tagged Badlands, Beartooth Highway, Bighorn Mtns, Black Hills, Devil's Tower, Grand Teton National Park, Great Plains, Little Bighorn Battlefield, Minnesota, Montana, Mt Rushmore, South Dakota, USA, Wyoming, Yellowstone National Park.